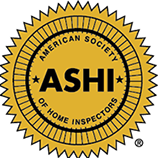 Mid-Suburban Home Inspection, Inc. conforms to the Illinois Standards of Practice and ASHI standards of practice. A professional home inspection will identify the problems and offer recommendations for major repairs and replacements. A home inspection is a visual examination and analysis of the physical structure and mechanical components. A home inspection is a non-invasive, visual and unbiased examination of a home intended for locating items that are not working properly or potential safety issues, a home inspection describes the current conditions within the structure and its contents before it is purchased by the buyer. When problems are discovered they are noted by the home inspector and a full report is issued upon completion. We encourage you to allow time to attend at least the final portion of the inspection. This allows us to walk through the home with you, pointing out significant findings and explaining critical elements of the report. Home inspections are important for those who are buying and selling real estate. Everyone who is planning on purchasing a home should have a home inspection. Even if one is purchasing new construction an independent inspector should examine the property. Following the inspection, you will receive an easy-to-read, thorough report for your records. This can assist you in purchase negotiations, warranty repairs or when making future maintenance decisions. There are circumstances where current property owners hire a home inspector so they can price their house accordingly or make repairs before it is placed on the market. The buyer will know what is being purchased and will save considerable heartache and money by avoiding a “money pit”. The buyer will also have a preventative maintenance “plan of action”. All homes have problems. The only question is, how serious are these problems? 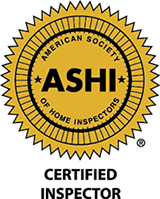 A professional and licensed home inspector understands the difference between major and minor problems and will communicate that difference to you. This will help you in the negotiating process and with your future preventative maintenance plans. How long does the home inspection last? The home inspection generally lasts 2 1/2 to 3 1/2 hours. An inspection lasting less time is simply not enough. Although not mandatory, we highly recommend the buyer attend the inspection to gain first hand insights on the condition of the home. This short investment of time is truly a rewarding experience. You'll get a comprehensive inspection report that includes details of our findings in an easy-to-understand manner. We’ve combined the speed of a computer-generated report with the ability to insert digital pictures of your home and detailed drawings to help explain various aspects of the house. Our report is easy to read and it prioritizes the findings. This helps you know which areas need to be addressed immediately and which can wait. The price will vary based on the size of the home and other factors. An exact fee will be quoted when you call. Beware of the low-cost inspection! Like all industries, you can probably find someone who will perform a low-cost inspection. But will they be around next month to explain their mistakes? Because the home purchase is such an important investment, saving a little money on the inspection is generally not a wise move. When you hire Mid-Suburban Home Inspection, Inc. we become your home consultant for as long as you live in the home. We will be available for free phone consultations on any questions relating to the inspection or the home. No time limits! No cost! An energy Inspection is a service that helps homeowners lower their energy bills and improve the comfort level in their homes by identifying areas of excessive heating and cooling loss or gain, and recommending cost-effective technology upgrades. www.hometuneup.com . Because timeliness is important, we can usually schedule your inspection within a few days from your call. We can perform inspections seven days a week, evening appointments are also available, daylight permitting. Please click on "CONTACT" to schedule yours today. EDR: Environmental Data Resources Inc.
and as far North as the border with Wisconsin. ©2019 Mid-Suburban Home Inspection, Inc.